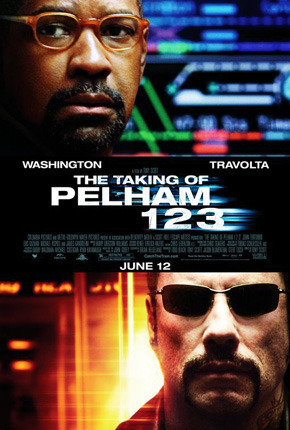 The remake of “The Taking of Pelham 123” was on this morning on FX… a movie I saw and sorta forgot all about a number of years ago - but it’s always good to see Travolta sorta turn in terrible acting performances. I never saw the original but I got around to thinking that I might do a whole week of Originals and Remakes this week on the blog. A theme of sorts to sorta break up the chore of this insane undertaking. As for this movie… it’s really terrible and I wouldn’t recommend anyone go out of their way to see it. I’m hoping the original is a lot better… I’ve had a number of people (looking at you HRK) who have told me that the movie should have never been remade.